The initiative will be rolled out nationwide in December 2017. Do you sometimes forget if you've paid your electricity bill for the month? You're not alone. Once our gaji masuk there are dozens of things that need to be paid: rent, mortgage, car installments, loans, phone bills, credit card bills, and so on. Sometimes we overlook a bill unintentionally. 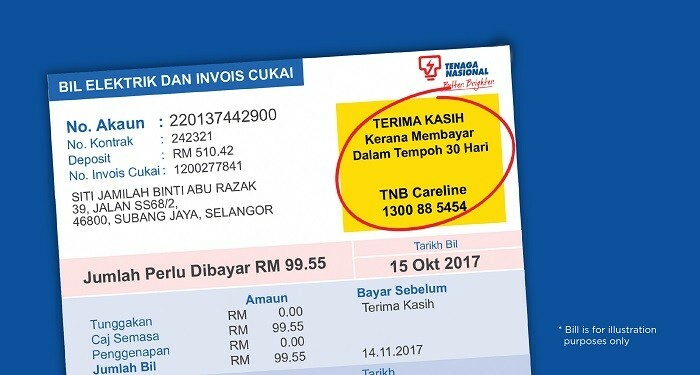 In order to help users keep up to date on payments, Tenaga Nasional Berhad is introducing a new yellow box at the top right of your TNB bill. 2. In the case of any outstanding bill from previous months, you will receive a disconnection notice printed at the bottom of the same bill. You will be advised to make payment within a specified date to enjoy continuous supply. 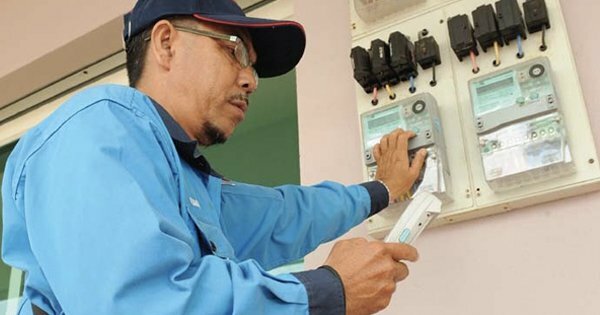 The yellow box initiative is currently being introduced in phases at Selangor, Negeri Sembilan, Melaka and Putrajaya effective November 2017 and it will be rolled out nationwide in December 2017. Remember TNB's awesome Raya ad? Watch it again here! Iklan Raya TNB Memang Iklan Paling ‘Best’ Setakat Ini! Siapa Sebenarnya Yang Hasilkan? Get insider tips, inspiring stories, and in-depth guides to your travels! How much do you actually know about tyre care? We won't say no to discounts. The dress was handmade with more than 3,000 metallic pearls.